For combined authorities to deliver real progress and not just be another ‘curiosity of history’ like other regional structures before them, they will need to demonstrate that they can both drive economic growth and also contribute to public sector reform. The Department for Communities and Local Government worked speedily to make sure combined authority areas were ready for the mayoral elections in May 2017, according to the National Audit Office. There is a logic to establishing strategic bodies designed to function across conurbations and sub-regional areas, and there is a clear purpose to establishing combined authorities especially in metropolitan areas, as economies and transport networks operate at a scale greater than individual local authority areas. 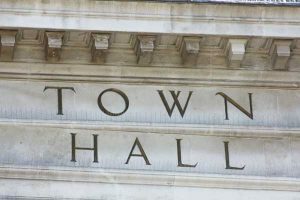 The introduction of combined authorities, however, has meant that inherently complex structures have been added to England’s already complicated local government arrangements, according to today’s report from the National Audit Office. The evidence that investment, decision-making and oversight at this sub national level is linked to improved local economic outcomes is mixed and inconclusive. The NAO finds that there is a risk that local councillors will have limited capacity for the overview and scrutiny of combined authorities. Furthermore, in May 2017, six mayors were elected to combined authorities in England, with candidates having campaigned on manifestos which frequently made policy commitments beyond the current remits of these organisations. This raises the question of whether mayors can be credible local advocates if they only deal with the limited issues under the remit. Combined authorities are not uniform, and vary in the extent of the devolution deals they have struck with government. The combined authority with the greatest degree of devolution, Greater Manchester, has now absorbed control over the office of the police and crime commissioner and fire and rescue services. Others are currently primarily focused on transport issues, as well as housing and regeneration. If the United Kingdom’s departure from the European Union (EU) results in reductions in regional funding, the economic regeneration role of combined authorities would become more pressing. Combined authorities are generally in areas which receive the most EU funding. The North West, for example, is scheduled to receive in excess of 1 billion euros in European Regional Development Funds, European Social Fund, and Youth Employment allocations between 2014 and 2020. A number of authorities have been unable to bring local authorities together to establish combined authorities, while areas with a long history of working together have often found it most straightforward to establish combined authorities. The capacity of most combined authorities is currently limited and the lack of geographical coherence between most combined authorities and other providers of public services could make it more problematic to devolve more public services in the future. Among the NAO’s recommendations is that the Department should continue to work with combined authorities to develop their plans for assessing their impact, including demonstrating the value they add.